Pain is an alarm signal of the human body. When dealing with pain it is important that underlying causes are understood and dealt with. However it is desirable to relieve pain in the shortest amount of time. An acupuncture practitioner can deal with these underlying causes thru acupuncture. 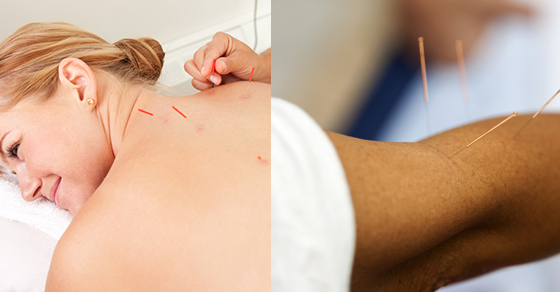 Acupuncture is one of the oldest forms of therapy in traditional Chinese medicine. This states that any sign of disease is an imbalance between ying and yang forces in the body. Acupuncture promotes the flow of life force energy and therefore brings balance to the human body. Acupuncture commonly includes manual stimulation of needles. It may also include electrical acupuncture. In this case, an electrical stimulator is connected to a needle. Acupuncture can be effective in so many different conditions. The conditions that we treat in our Mississauga physiotherapy clinic are: Headache, Bell’s palsy, tennis elbow, OA (osteoarthritis), Low Back Pain, carpal tunnel syndrome, neck pain & Muscle related joint disorders. Acupuncture has a much lower incidence of poor effects in comparison with many western treatments e.g. drugs like antiinflammatories/ cortisone injections which have possible harmful adverse effects. The ill effects associated with acupuncture are: Minor (bruising, bleeding, nausea, broken needles, worsening of symptoms) Major (infection, perforation of organs). These ill effects can be avoided when treatment is carried out by a well trained Registered Physiotherapist. This includes proper sterilization techniques. It also includes sound knowledge in anatomy and physiology. Treatment frequency is usually 2-3 times/wk which lasts for 15min up to a max of 30 min duration. Acupuncture may be used together with other treatment modalities such as interferential therapy, ultrasound, exercise, or mobilization techniques by a Registered Physiotherapist. A full assessment by a Registered Physiotherapist will allow for a proper diagnosis and treatment options that are the best for each patient. If you are interested in learning if acupuncture may help with your symptoms, please call to make an appointment with our Registered Physiotherapists Mississauga today!